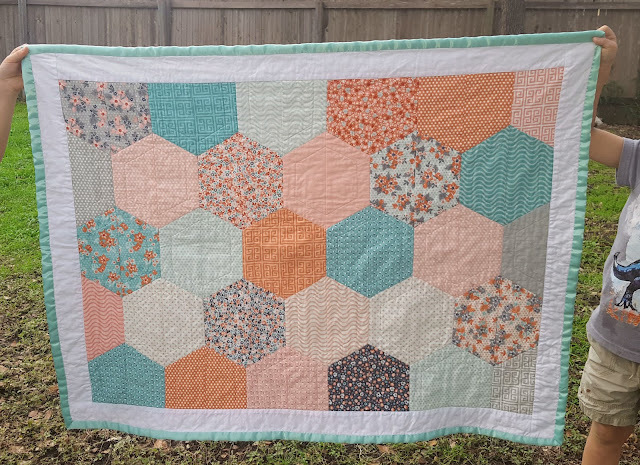 Another baby quilt under my belt, this time for a friend of my mom's who just had a baby girl! Her nursery was "coral" color themed, so I ordered two jolly bars that were on sale from Fat Quarter Shop called "Sweet Marion" from Moda Fabrics by April Rosenthal. I didn't use all of the patterns in the pack, opting to leave out most of the really dark blue and really light pink ones, and I still had plenty for the quilt. The pattern is a familiar one, I again used Lori Holt's Half-Hexie large template. I was sorta crunched for time so I did a pattern I knew I could handle and do well quickly. 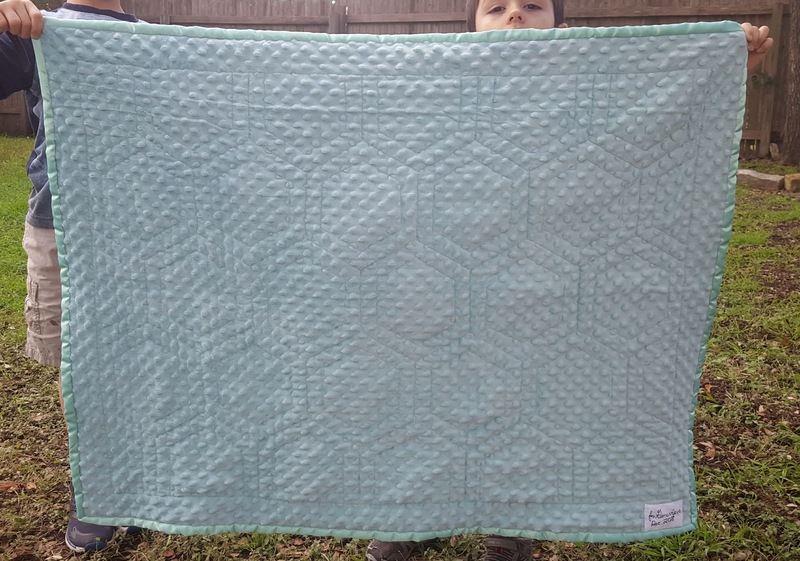 I added a white border, backed it in teal minky, and bound it with satin blanket binding. 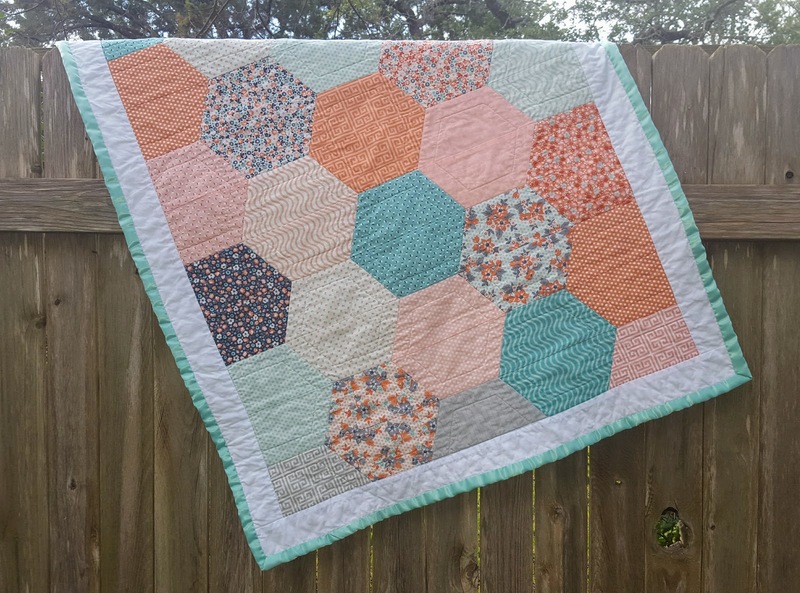 The quilting is simple--I stitched in the ditch around each hexagon and then measured an inch in from each line, marked them with a water soluble marker, and then quilted the smaller hexagons inside the big ones. Very geometric, but I like how it turned out! Finally, I used the walking foot on my home machine to embroider a little tag with the baby's name and bithdate on it, and sewed it on by hand. Welcome to the world little Genevieve!